This ingenious, easy-to-use kit transforms your two rollers into a powerful tool that delivers support, feedback, and stability and balance challenges. 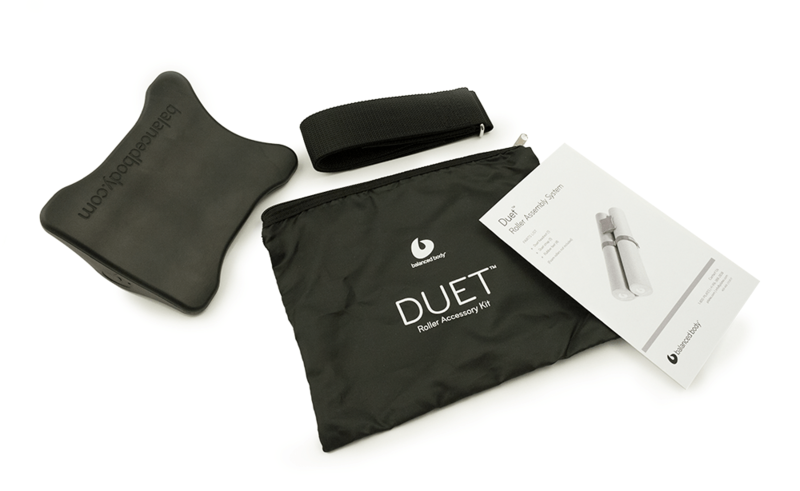 Created by Pilates educator Jenna Zaffino and developed in collaboration with Balanced Body, the Duet™ Roller Accessory System securely tethers your two rollers together to create a unique surface on which to perform supine, prone, seated and sidelying exercises. Provides valuable bilateral feedback that helps you or your client gain awareness and self-correct more accurately. 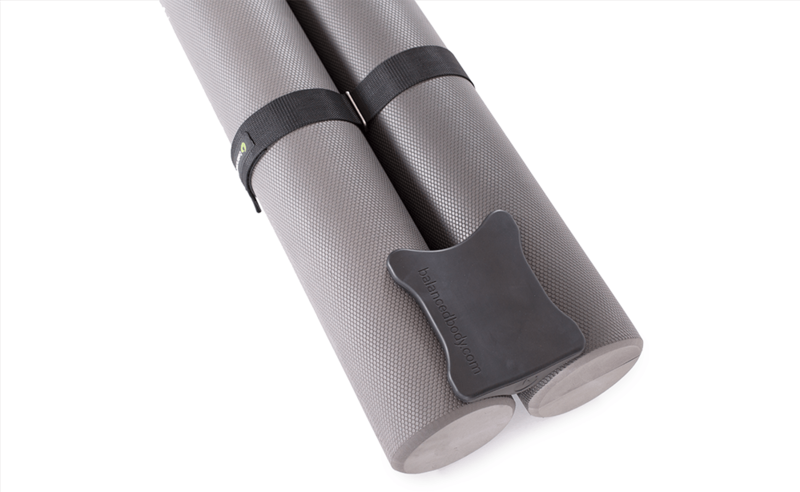 Adds a myofascial release element to spinal articulation exercises like Roll Up and Roll Down. Intensifies the stability challenge of familiar Pilates exercises like Spine Stretch, Saw and sidelying work. The custom-molded headrest provides comfortable support for both supine and prone exercises, and also cushions the thigh or ribcage during sidelying work. Our premium Magic Roller in studio-friendly gray neutrals. Economical, in 36" or 40" lengths. Our firmest rollers, in 36" and 40" lengths.